Why this review was written? I’ve been learning guitar playing since high school, but I’m not really on the pro-level yet. I decided to buy my very own guitar 8 months ago, and I’m writing this review just to share my thoughts on how I feel about this guitar, and what other people may like and not like about it. Like I said, I’m no pro in playing guitars, but that was why I decided to learn more and finally buy my own guitar. My best friend, a lead guitarist/bassist/drummer in a few bands helped me choose. Usually, my friend said that mahogany creates a good finish for mellow sounds, and although this guitar only has guitar laminates, I would say that the sound crisp is even all through-out. Although I think it would be disadvantageous to others that this is made with laminated mahogany and not solid mahogany, I’d really say it’s a good thing for me. A dreadnought is heavy enough, I’m not sure I could carry it well if it were made of solid wood. It’s almost a year and so far, even with a dog at home and my sometimes careless attitude, no part has chipped off. The free hard shell that comes with it played a great part in helping me keep it safe. "Here’s a summary of my thought about it after using it for almost a year, and some basic information on its structure, body size, and material for your reference." It’s ready for being amplified with its Fishman electronics inside. It’s in dreadnought size, perfect for people who are looking for a guitar and playing in a band at the same time. The mahogany color is gorgeous, and the bronze strings and black pick guard, and fret neck and body perfectly complement each other design-wise. It comes with a hard shell that fits me really well and really looks so good! Actually, the exteriors is what really caught me off guard when I first got this. It’s just really beautiful. 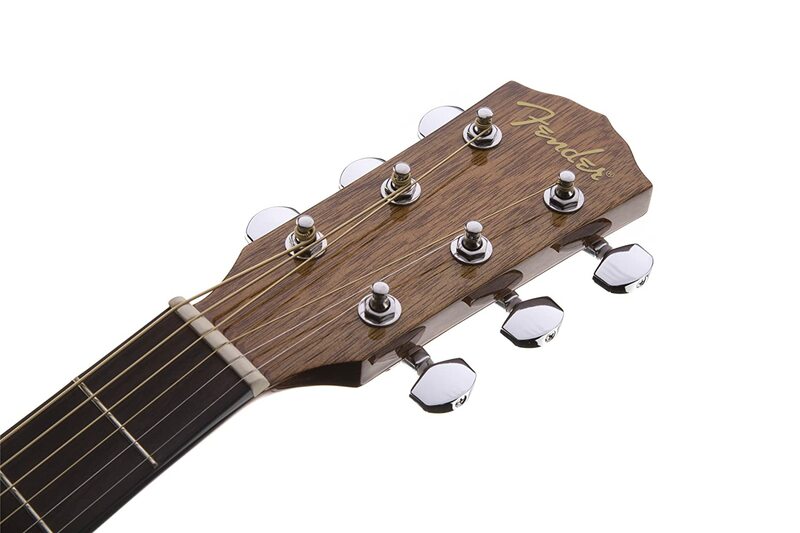 This guitar is an electric-acoustic guitar with a dreadnought body shape. All of the materials used for it, from fret to the body, are made of gorgeous-looking and even better sounding laminated mahogany. The neck is “C” shape with 20 frets and is 25.3 in long. Aside from being made from mahogany, the guitar has 3mm Dot Position inlays, a gold silkscreened Fender logo, with a black neck body and binding, and pickguard. Overall it does not only sound good, but feels good and looks good for me too. It’s not too pricey and definitely one of the most beautiful guitars I’ve ever seen. > Great sound: The mahogany laminates really help in creating a strong mellow sounds that could be good just by itself and just as good with accompaniments from a band. 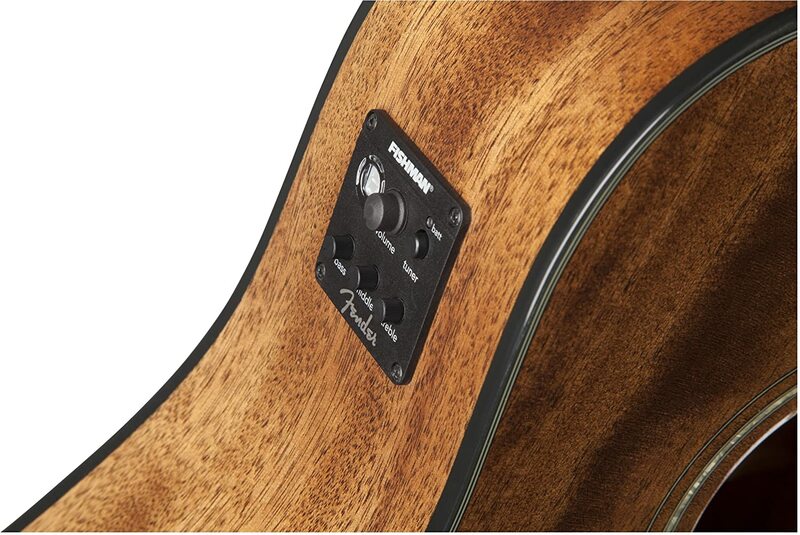 > User friendly: The built in Fishman electronics is easy to use and completely adjustable. This makes using this guitar convenient and helps in making this guitar’s capacity range really wide. Like I said, I use it solo, with the band, and with an amp! Despite its flexibility, the sound is maintained, I really like Fishman. > Mahogany wood: It’s made of laminated mahogany wood, and the good thing is we could get the fantastic sound from a mahogany finish, without making the guitar too expensive. This is a really good deal for beginners or people who are looking for a nice-looking guitar and are on a budget. 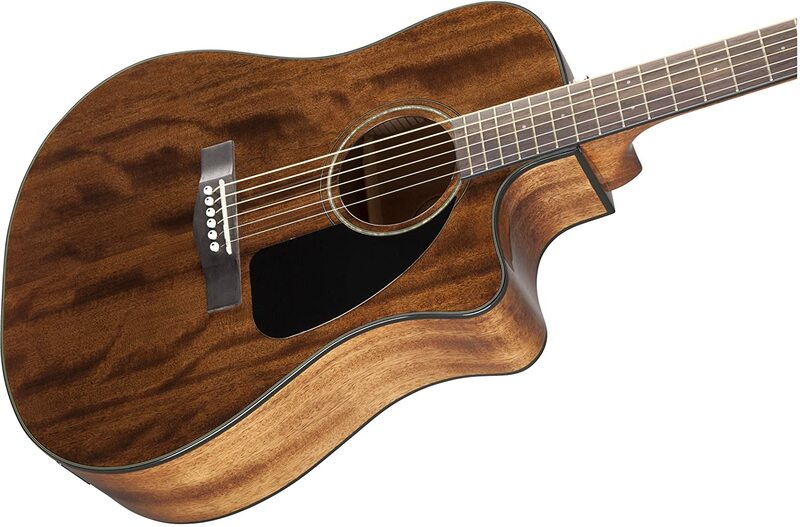 The guitar’s body being mahogany and the body shape being dreadnought is perfect for me. 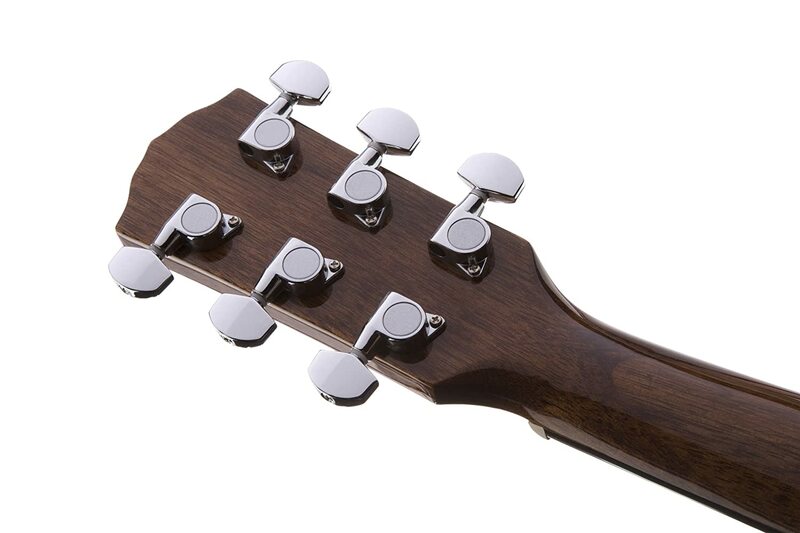 Mahogany helps give off mellow sounds, but the dreadnought is usually designed for the sound to be loud and strong. I’m really enjoying trying different music styles with this guitar. This works for me, but it’s only designed for right-hand users. I just wish other left-handers could use it too. Being a dreadnought, it’s kind of on the heavy side. That’s okay, because it looks really gorgeous, but for me lighter is more portable and better.